Perhaps nowhere else on the face of the earth is the season of spring welcomed by nature with such extravagant exuberance as it is in Namaqualand, a region in South Africa's Cape Province. Spring's universal affirmation of life is proclaimed here with unique intensity; fields are turned into floral seas of gold, purple, and white; valleys become like giant canvasses, splashed with mauve, pink, and magenta; harsh cliffs and rocky outcroppings are dressed in delicate green and blue. Landscapes that at other times of the year remind one of the arid, forbidding moonscape burst into such prodigious and unexpected bloom as to surpass even the highest flights of fantasy. For those who are lucky enough to see this extraordinary natural phenomenon, it is an unforgettable experience. Freeman Patterson, an acknowledged master of nature photography, has been inspired by the Namaqualand spring to make some of his finest wildflower photographs. In this book he presents the breathtaking spectacle for all to see and describes some of his experiences in an informative and sensitively written text. "Namaqualand," says Patterson, "offers flowers as symbols of hope and courage; we are able to believe that, like flowers buffeted, beaten, and scarred by external forces, we can still attain moments of excellence and great beauty." 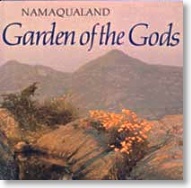 "However far one reaches into the imagination, Namaqualand eludes comparison. It is, quite simply, unique." "This is a truly beautiful book that will provide many hours of enchanted looking whether one knows Namaqualand well, has only a fleeting acquaintance with it or simply dreams of going there one day." "It is possibly the most beautiful book of the year - Canadian photographer Freeman Patterson's masterpiece on Namaqualand." all books before they are shipped.